UnionCamManager have more powerful function for IP cameras! UnionCam 1.1 - Apple iPhone software for IP Cameras, UnionCam Manager and H264WebCam. UnionCam for iPad - Apple iPad software for IP Camera. UnionCamFree - Free IOS software for Trial. Broadcasting your camera on internet. Keep an eye on your home via iPhone, Android ! Record from your IP camera to ASF, FLV, MP4, AVI. 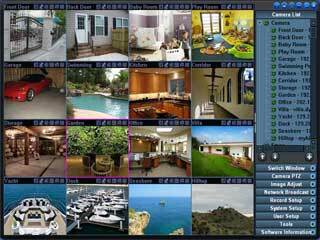 UnionCam Manager is a ip camera software which can support 64 cameras at the same time. 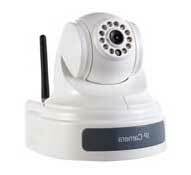 It can keep an eye on your home from anywhere, turning your PC into a video surveillance system. This webcam software can broadcast live camera video on internet with standard flash stream or windows media stream. It can also support video motion detect and audio detect for Email alerts and recording, standard AVI, MP4, FLV, ASF, MOV, WMV, MKV record files. 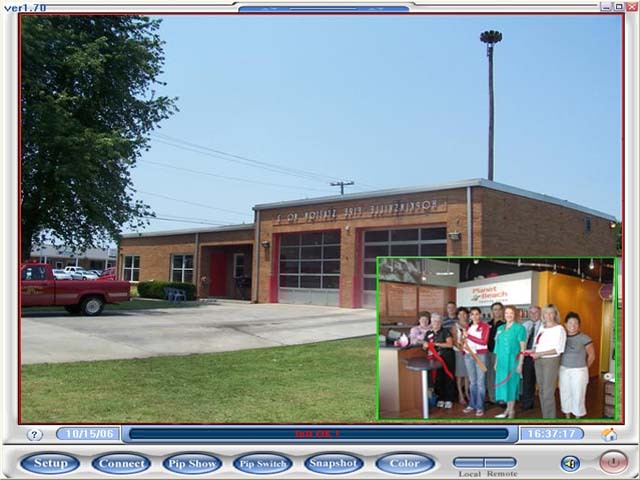 UnionCam Player is a media player software for windows. It can play 16 camera's record files of UnionCam Manager software at the same time, search and play the record files according to date and time. This program can also play almost all media files, such as ASF, WMV, MP4, MOV, AVI, 3GP, FLV, VOB, DAT, MPG, SWF, MPEG, TS, RMVB, MKV, PSP, 3G2, M2T, M4V video files, and WAV, AC3, AMR, MP3, WMA, OGG, CDA, AAC, RM audio files etc. You can view the video frames one by one, or fast forward viewing, fast back viewing or drag progress arbitrarily. Keep an eye on your home via iPhone, BlackBerry! H264 WebCam is a 32-channel h264 remote video surveillance software for Windows. 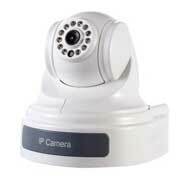 It can capture images at up to 30 fps from IP camera, USB camera, Capture card, TV board, and PTZ control and preset many IP cameras! 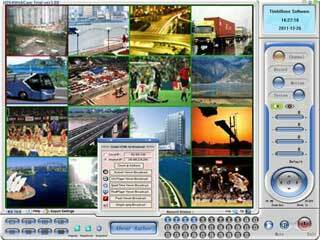 It can help you to create web page for broadcasting live audio and video stream on internet. This webcam software has an advanced video motion detection algorithm along with various alert functions including Email, FTP, and sound. It can encode your camera video to H264, XVID and Flash multimedia stream, and this stream can be viewed by Flash player, Quicktime, Realplayer, Windows Media Player, IE or Firefox browser on remote PC, Macintosh, iPhone etc. Convert many Formats Video to iPod, iPhone, PSP etc. Apt Video Converter is apt and powerful media converter which can convert almost all popular video and audio formats each other, such as converting AVI, MPG, WMV, RM, RMVB, ASF, MOV, MP4, 3GP, MKV, FLV, CD, VCD, DVD, MP3, WMA, AC3, OGG, AMR, AAC, WAV etc. In addition, you can convert your Camera to these file formats, and can convert downloaded videos to your iPod, PSP, Zune, iPhone. This software have embedded and optimized many encoder and decoder, H264, Xvid, Divx, Mpeg4, Mpeg2, WMV3, RV40, MJpeg, MP3, AC3, AAC, OGG Vorbis etc, so it have very fast conversion speed and excellent quality. Other features include friendly user interface, and freely changing convert setting such as bit rate, video size, audio parameter etc. Communicating with your friends online! H264AVCommunication is a Audio and Video communication program for windows. You can communicate with your friends using high quality video and audio effect with a low bandwidth, no matter how far he are !because H264 video encoder and MP3 audio encoder have great efficiency. This software captures images up to 30 frames per second from USB and analog cameras, TV boards, capture cards etc. You can Record local video and remote video to AVI file which can be played with Windows Media Player or Real Player. Jpeg image snapshots can be made from video images. Detailed help files are available. The PIP (picture in picture) window may show remote video or local video, and can switch this display, you can resize pip window or move it arbitrarily. Other features include secure login with a valid user ID and password from Net, automatically restore Net connection etc. This software is both client and server, If you buy one license, we will mail you another license as gift. So you can build a communication network. 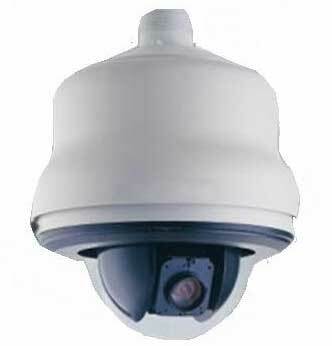 H264 Main Profile Level 3, 720P(1280x720) HD Camera. 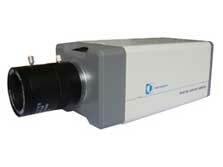 1/3" 2-megapixel CMOS Sensor, 6mm HD len. MIC audio, G726. Pan Tilt Control. Motion Detection. SD card storage. Dual Stream Supporting. Infrared distance 10m. Special Offer : 131.95$ + 8$ . WIFI 802.11b/g/n. Pan Tilt Control. Motion Detection. SD card storage. Special Offer : 141.95$ + 8$ . 1/3" 2-megapixel CMOS Sensor, 4-9mm HD len. Motion Detection. SD card storage. Dual Stream Supporting. 1 Audio input, G726. Special Offer : 111.95$ + 8$ . WIFI 802.11b/g/n. Motion Detection. SD card storage. Special Offer : 121.95$ + 8$ . H264 Main Profile Level 3, D1(704x576), CIF Camera. 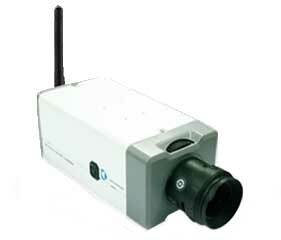 1/3" SONY 480TVL CCD, 10x optical zoom. Pan Tilt Zoom Control. Motion Detection. SD card storage. Dual Stream Supporting. IP66 Waterproof level. WIFI 802.11b/g/n. Dual Stream Supporting. IP66 Waterproof level. 1/3" 2-megapixel CMOS Sensor, 8mm HD len.